Best Dropbox Apps for Android features some very useful Dropbox Apps which are very useful or day to day usage. Dropbox is one of the most used Cloud Storage. We wrote several articles on Dropbox itself. As Dropbox, even free one allows to use API access and has various features, for example one can Host Rackspace Cloud Sites Subdomain on Dropbox and obviously if you use any of these App from Best Dropbox Apps for Android list, if you update, the website will be updated too. Usage of these apps from Best Dropbox Apps for Android list is only bounded by imagination. How we have selected these Best Dropbox Apps for Android ? You can type or copy any name of the Apps listed in this list of Best Dropbox Apps for Android and search it in Play using the Search function. Dropbox : Read your docs or flip through your albums when you’re out and about. Save photos or videos to your Dropbox and share them with friends in just a couple taps. 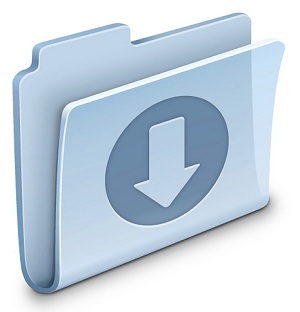 Downloader for Dropbox : The Simple Downloader for the DropBox. BoxCryptor : Add a layer of security to Dropbox or Google Drive by encrypting your files. BoxCryptor Unlimited Business : Paid version of the above app. Real Sync Pro for Dropbox : You can then sync an unlimited amount of files per SyncJob. Dropsync : Rock-solid, battery efficient, full two-way(!) sync client for Dropbox. Keep your phone/tablet and your Dropbox in sync at all times. Todo.txt Touch : Simple and fun task manager syncs your personal todo.txt file with Dropbox. Future-proof your todo list and store it in a plain text file. Send to Dropbox (Ad supported) : “Send to Dropbox” as new action for all file-types. We hope you can enjoy some of these Best Dropbox Apps for Android. This Article Has Been Shared 6294 Times! Cite this article as: Abhishek Ghosh, "Best Dropbox Apps for Android," in The Customize Windows, May 4, 2012, April 25, 2019, https://thecustomizewindows.com/2012/05/best-dropbox-apps-for-android/.